Lisa Samphire, Canadian born began her glass blowing career in 1985. Since that time she has produced a diverse body of work, which includes private and public, sculptural and functional pieces. 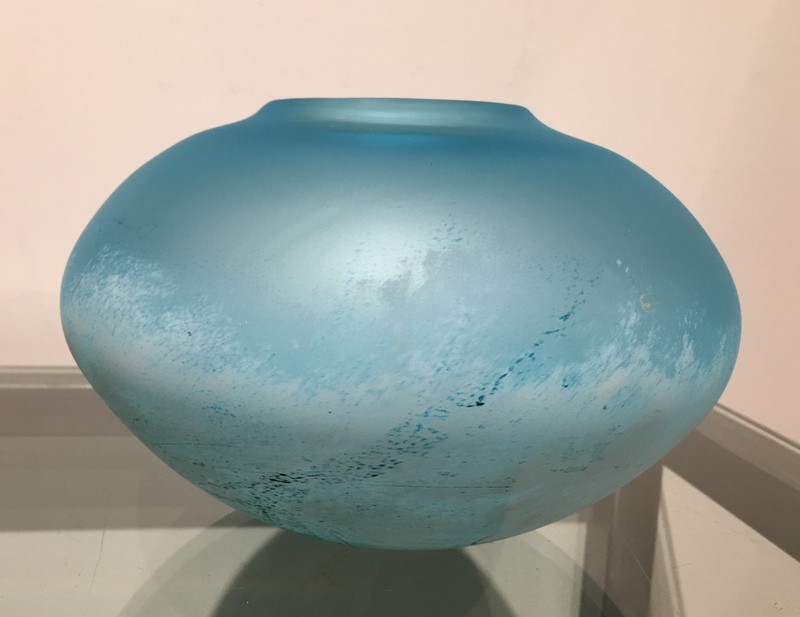 Over the years she has been recognized and applauded for her glass work through the receipt of various awards, scholarships, teaching appointments and commissions. Blowing glass is a very physical and exciting process, which Lisa enjoys each time she tackles a new piece. She loves trying to resolve the aesthetic and technical challenges that the medium of glass presents. She maintains a freshness and liveliness to her work by constantly exploring its properties and following her intuition and curiosity. She utilizes different techniques in her works and has continued to look to others as she pursues her career.